We thought it was high time the best little wine shop in the West joined the wild world of the wide web. We thought we'd begin blogging by announcing the arrival our this lovely chianti we discovered last fall. It was awe inspiring that afternoon even after spending a week in sunny Tuscany visiting with some of the best small producers in the region. Frankly, I think it's even more incredible now that it has landed here. Only 300 cases of this wine was produced and we brought it all to Oregon! BELLA Main Street Market is offering the La Villa Chianti Colli Senesi for jsut $ 15.95 a bottle - about half the price of current releases from the region! Chianti Colli Senesi Riserva 1999. 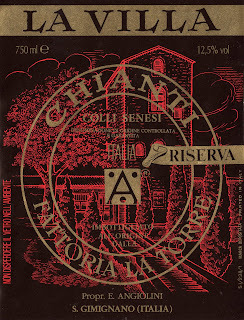 This is it….. the astounding Chianti I discovered in Fiorenze (Florence, Italy) last October! It arrived last Monday and is every bit as phenomenal as I remembered it being that day with Contessa de Rham. I first met Barbara last summer in Portland, OR at a wine tasting, (I only discovered she was a Contessa in September!) Enoteca de Rham imports many of my very favorite Tuscany and Piedmontese wineries including Cascina Castelet and Ca del Baio. Following lunch, a 3 hour event that was a culinary showcase, we ventured to her office and began to work! It takes a lunch of that caliber to sustain you through a tasting of 74 wines – even when you are spitting! Anyways, the LA VILLA caught my eye immediately and I kept a small glass of it by my notebook for 4 hours. I’d go back to it every so often and was truly stunned by the brilliance and classic structure. 1999 was an excellent vintage, in fact I think I really liked everything I tasted from the ’99 and ’01 vintages, but this wine was special. I think this may be the finest Chianti from the Colli Senesi region that I have ever tasted. Although I am very fond of the delicate perfume and elegance of the region, this wine has an amazing depth of color and weight. It has the delicacy that enchants but the intensity of the Classico region – all in all, I think it’s nearly perfect. Serve the LA VILLA with Veal Saltimbocca, Proscuitto and Smoked Mozzarella Pizza or a simple Peppered NY Steak finished with Truffled Butter. If you love this wine as much as I did, give us a call as it’ll be gone soon! Best of all, we can share this beauty with you for just $ 160 per case/12 while it lasts. 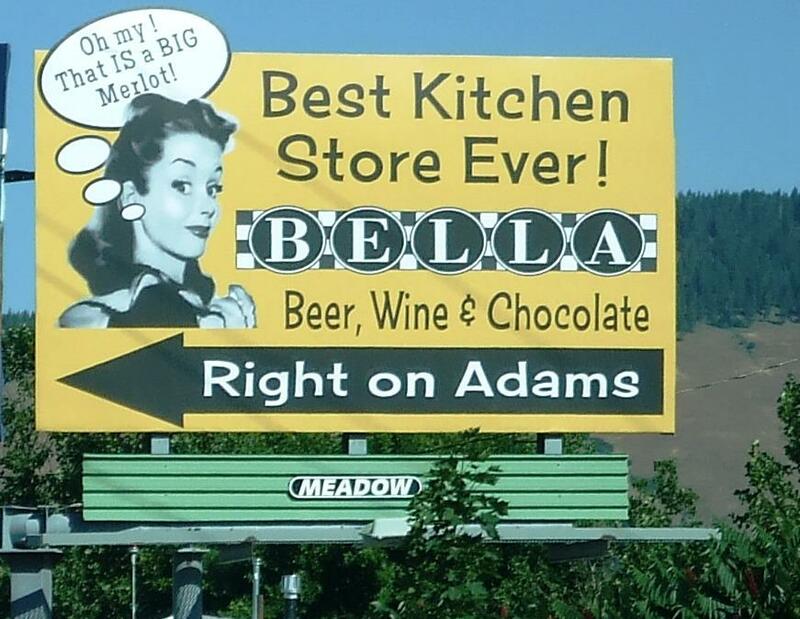 Email your order to bella@bakervalley.net or give us a ring at 541-523-7490. This classic Italian dish is prepared with veal, but it’s easy to substitute chicken or venison. Pound meat thinly between pieces of waxed paper. Remove top layer of paper, lightly season with salt and pepper. Place cheese over meat and then top with proscuitto (trim so that proscuitto does not overlap). Roll meat into ‘log’ and use toothpick to hold. Repeat with all pieces of veal or chicken. Heat butter (or olive oil) in sauté pan. When butter foams, place rolls into pan and cook until lightly browned. Remove toothpicks and turn with tongs to cook on other side. Cook about 3-5 minutes, remove from pan and keep warm. Add garlic, sage leaves and a bit more butter, swirl to de-glaze pan and add broth and marsala. Bring to a boil and let reduce by 1/3. Add lemon juice, stir in and then place meat rolls back into sauce and cover. Lower heat and simmer for 10 minutes. Place spinach on serving platter, remove meat rolls and place on top of spinach. Pour sauce over meat rolls and garnish with fresh chopped Italian parsley. Serve with freshly cooked pasta, sautéed mushrooms and a great Chianti! Great blog! Reading your blog about being in Florence made me almost feel like I was there with you. Wait, I was! But it was actually in Oct 1988. And it was a wonderfully memorable first trip to Italy too! Your newly found Chianti sounds luscious. Set aside a couple bottles and we'll drink them together when we come to visit you in Baker this summer. Your recipe sounds interesting too. I think chicken is going to be on the menu for dinner tomorrow, but I'll have to pick up some Proscuitto first. I wish I could just run down to Bella to get it!